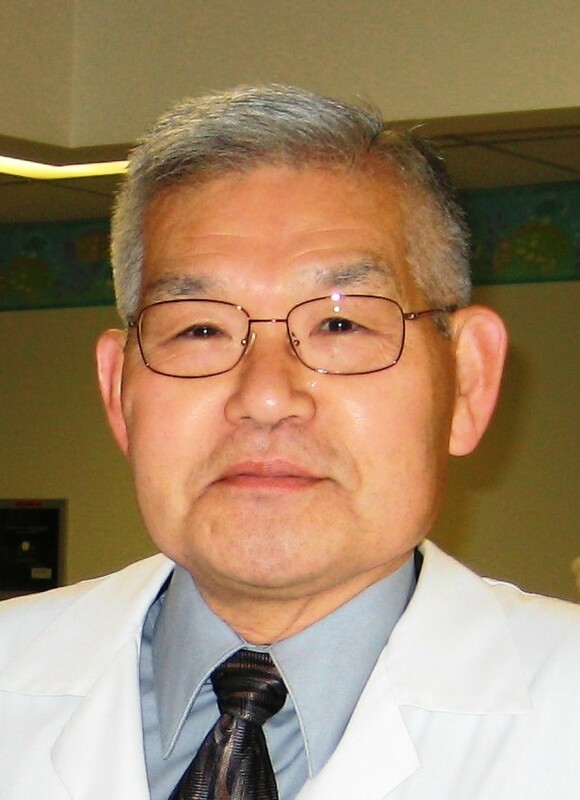 Dr. Susumu Inoue was born in Japan, and graduated from Okayama University School of Medicine. following that, he did his rotating internship at the US Naval Hospital in Yokosuka, Japan. He completed his residency in pediatrics and fellowship in pediatric hematology/oncology at the Children's Hospital of Michigan in Detroit. Subsequently he did bench work researches initially investigating chromosomal abnormalities of leukemia, and later, bone marrow hematopoietic cell differentiation using the in vitro bone marrow culture technique. He was in Detroit as associate professor of pediatrics till 1987 when he moved to Flint, MI and developed pediatric hematology/Oncology division at Hurley Medical Center. He also became professor at the Michigan State University College of Human Medicine, and served there in the admission committee, and as a chair of the preclinical section, Neoplasia/hematopoiesis domain. Clinically he was extremely busy as an attending Hematologist/Oncologist at Hurley Medical Center. More recently he had departed from most of the clinical duties and he is putting more focus on clinical research particularly in sickle cell disease and child abuse as well as teaching MSU medical students and residents. 1.Thompson RI, Ottenbreit M, Inoue S, Zuelzer WW: Banding in old chromosome preparations. Lancet, 2:270, 1973. 2.Inoue S, Ravindranath Y, Ottenbreit M, Thompson RI, Zuelzer WW: Chromosomal analysis of metastatic retinoblastoma cells. Humangenetik, 25:111-118, 1974. 3.Inoue S, Ravindranath Y, Zuelzer WW: Cytogenetic analysis of erythroleukemia in two children - evidence of nonmalignant nature of erythron. Scand. J. Hematol., 14:129-139, 1975. 4.Zuelzer WW, Inoue S, Thompson RI, Ottenbreit MJ: Long term cytogenetic studies in acute leukemia of children - the nature of relapse. Amer. J. Hematol., 1:143-190, 1976. 5.Inoue S, Ravindranath Y, Thompson RI, Zuelzer WW, Ottenbreit M: Cytogenetics of juvenile type chronic granulocytic leukemia. Cancer, 39:2017-2024, 1977. 6.Inoue S, Ottenbreit M: Heterogeneity of human colony forming cells (CFU-C). Blood, 51:195-206, 1978. 7.Kaplan J, Inoue S, Ottenbreit M: Myeloid colony forming cells (CFC) express human B lymphocyte antigens. Nature, 271:458-459, 1978. 8.Ravindranath Y, Inoue S, Considine B, Lusher J, Zuelzer WW: New leukemia in the course of therapy of acute lymphoblastic leukemia. Amer. J. Hematol., 5:211-223, 1978. 9.Ottenbreit MJ, Inoue S, Fracassa M: Survival of human colony forming cells (CFU) after freezing. Cryobiology, 16:417-423, 1979. 10.Lin JC, Ottenbreit MJ, Wang S, Inoue S, Bollinger RO, Fracassa M: Microwave effects on granulocyte and macrophage precursor cells in mice. Radiation Res., 80:292-302, 1979. 11.Ottenbreit MJ, Bollinger RO, Uchwat FA, Inoue S: An electron microscopic technique for in situ observation of hematopoietic colonies. Micron. 10:160-163, 1979. 12.Inoue S, Ravindranath Y, Lusher JM, Itoh T: Hematological parameters and marrow in vitro colony forming cells in acute lymphoblastic leukemia after cessation of treatment. Acta Hematol Jap., 43:61-70, 1980. 14.noue S, Krieger I, Sarnaik A, Ravindranath Y, Fracassa M, Ottenbreit MJ: Inhibition of bone marrow stem cell growth in vitro by methylmalonic acid: A mechanism for pancytopenia in a patient with methylmalonic acidemia. Pediatr. Res., 15:95-98, 1981.